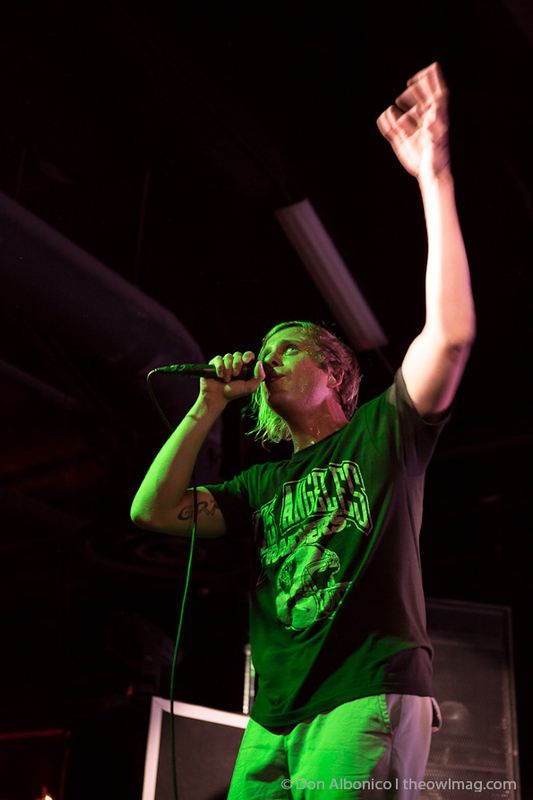 If you’ve never heard AWOLNATION‘s recently platinum-certified single “Sail,” and the song’s twisted electro-generated gnarl, you’ve clearly been living in another world. 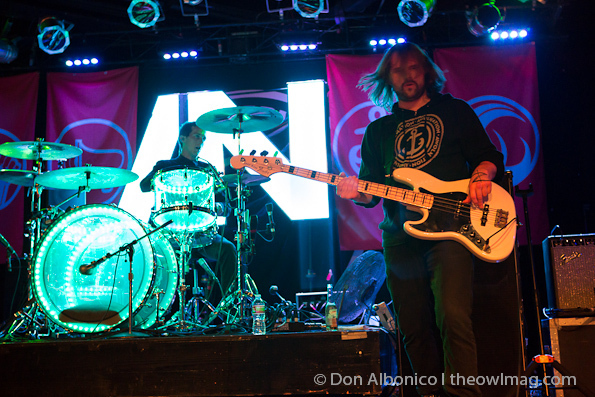 Since the 2011 release of the band’s debut LP, Megalithic Symphony, the guys have been touring relentlessly throughout the world recruiting new fans who pledge unwavering allegiance to AWOLNATION. 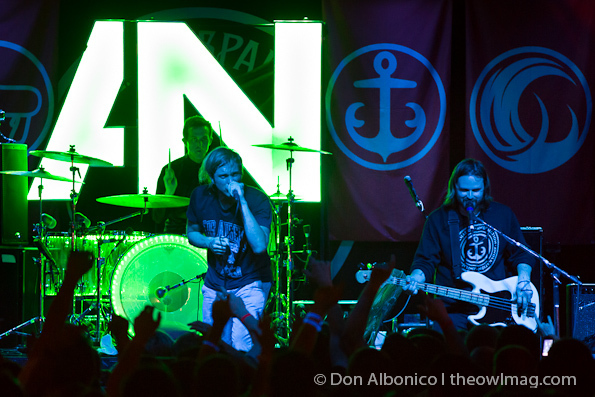 That die-hard following and fanatical devotion sold out the 1,000 person venue, Ace of Spades, on a Monday night in Sacramento and fans of all ages came out in homemade AWOLNATION shirts to show these Los Angeles boys some love. Let’s get the obvious out on the table first. 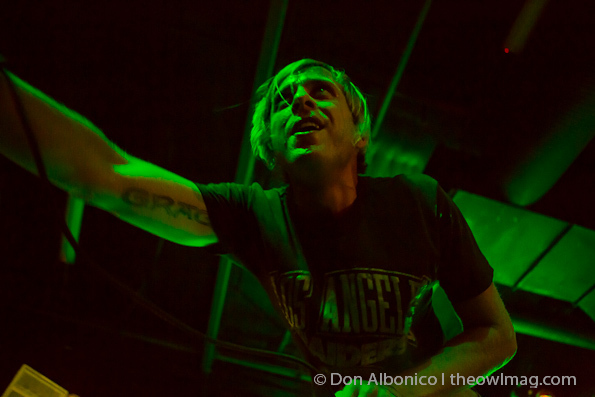 AWOLNATION has undoubtedly crossed over into the realm of mainstream music despite being on a relatively small independent Los Angeles-based record label. 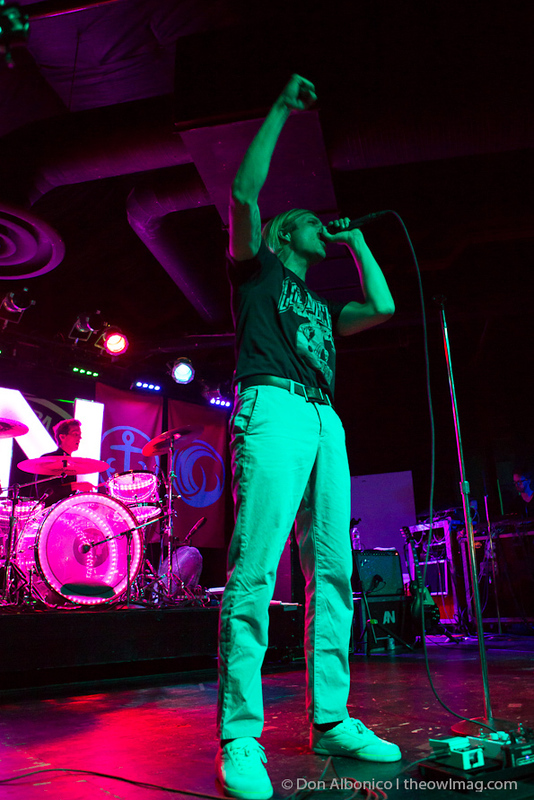 After seeing the show on Monday night, it’s clear to us that AWOLNATION‘s widespread international appeal is in no small part due to the band’s amazingly energetic (and unbelievably sweaty) live performances lead by front man Aaron Bruno. 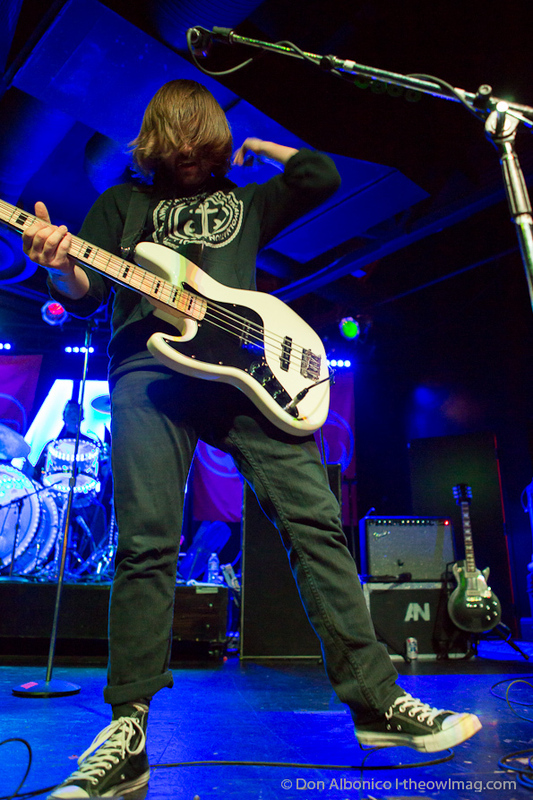 The band opened the 90-minute set with “People” and “Not Your Fault,” both of which are much heavier in lead and rhythm guitar when played live, essentially drowning out any hints of the more album-present keyboards and electro elements. 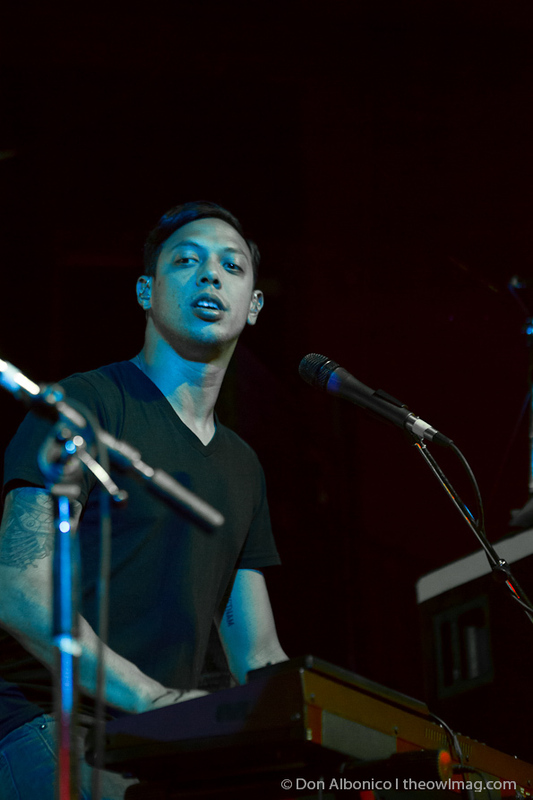 Though at times criticized as suffering from a case of egomania, Bruno proved to be a charismatic and confident front man and any hints of over-confidence seemed rightfully justified given his amazingly catchy songwriting abilities, stellar stage presence, and his band’s newly earned platinum status. A lot of other similarly situated bands on small indie labels couldn’t give away one million copies of a single if they tried. 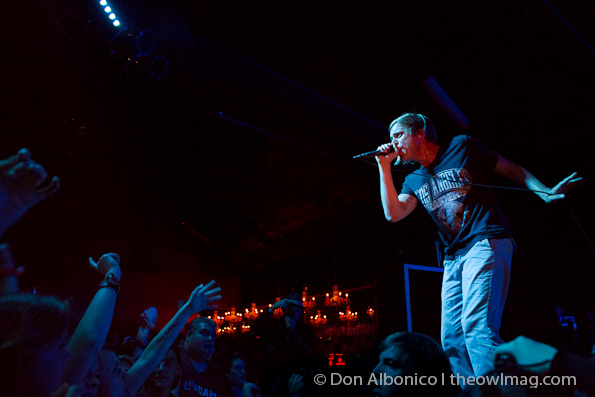 The highlight of the raucous night was the breather provided mid-set by the performance of pop-influenced “All I Need.” Every heavy hitting band needs that one moment in their performance for a sweeter softer ballad. Monday night’s show lived up to the expectation we had in our little bird brains: a heart filled, crazy rowdy, sweaty show complete with fist pumping and female crowd surfing. 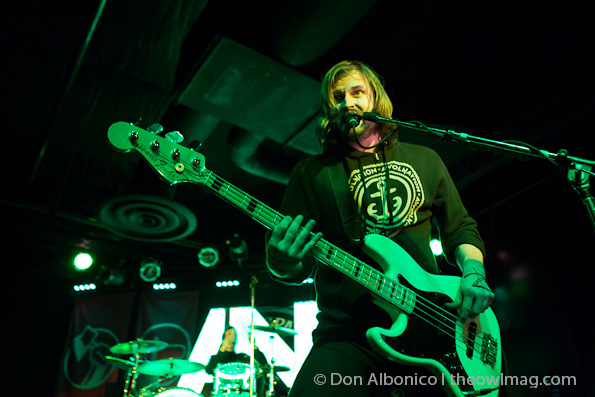 Click here for more photos of AWOLNATION at Ace of Spades.